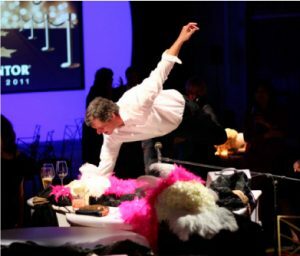 Set the stage with two Grand Pianos and two outrageously talented Dueling Pianos Entertainers. You have entered the world of the hottest entertainment act in the country, Dueling Pianos. You can request special dedications. 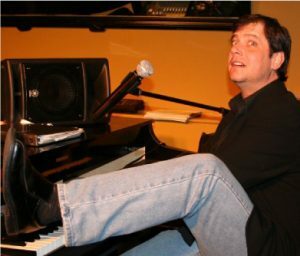 You can have our Dueling Pianos entertainers call your friend up to the stage for special occasions: birthdays, bachelor/bachelorette parties, retirement, job promotion and anniversaries. Our Dueling Pianos Entertainers have a song for any occasion. The entertainment value of a Dueling Piano Show is the obvious choice when compared to bands or DJs where your guests just sit there bored trying to talk over the loud music. Dueling pianos has it all, all request live entertainment, singing, dancing, novelty songs, comedy and the whole audience participating all night long. Dueling Pianos Shows are perfect for any corporate event, corporate function, private party, company party, fundraiser, wedding reception, banquet, birthday party, holiday party, Christmas party, New Years eve party, corporate team building events as well as an ongoing show at your favorite nightclub, bar or casino. If you would like dueling pianos at your favorite nightclub, have them give us a call. We have dueling pianos entertainers nationwide. Want even more? Check out our Great Pianos Show. Its like Dueling Pianos on Steroids!